As a One Network VAR partner you will have the resources and knowledge to build expertise on One Network SaaS solutions. VARs can resell One Network applications to One Network customers as well as new customers. 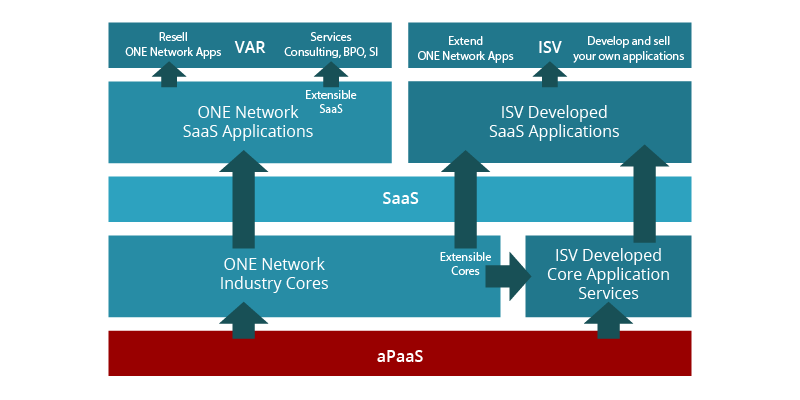 One Network is building ecosystems of consultants and ISVs around our industry cores to encourage specialization and tailoring of services and solutions that encapsulate the nuances of the target industry. Key industries include Automotive, Food Services, High Tech, CPG, Retail, Healthcare, Military, Logistics, and Pharma. One Network charges VARs a monthly fee per user and per business transaction for each application sold.